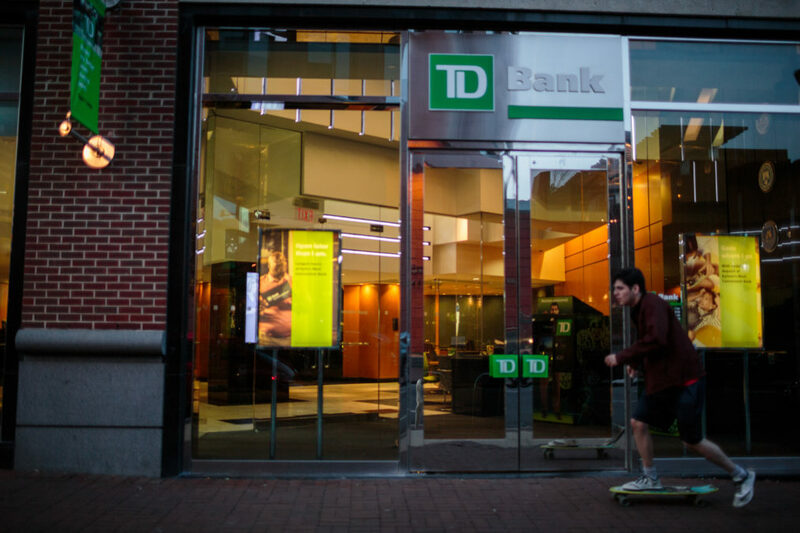 African American and Latino borrowers in Philadelphia are more likely to get turned down for a conventional home purchase loan by TD Bank than any other major mortgage lender. The Massachusetts Democrat, who helped create the Consumer Financial Protection Bureau, has railed against modern-day redlining since a February expose by Reveal from The Center for Investigative Reporting. Reveal found 61 cities where people of color were more likely to be denied a home mortgage than their white counterparts, even when they had the same income, sought the same size loan or wanted to buy in the same neighborhood. Anti-redlining provisions are part of a much larger bill Warren called the American Housing and Economic Mobility Act. It aims to ease access to owning or renting a home through a combination of government regulation, zoning reform and billions of dollars in taxpayer subsidies for poor and working-class families. The bill is likely to receive a hostile reaction from the banking industry. In a statement, a spokesperson from the American Bankers Association said the trade group is still reviewing the 67-page bill but is “keenly interested in the nation’s housing policy.” Another trade group, the Mortgage Bankers Association, did not respond to a request for comment. The reforms in the proposed legislation would be funded by dramatically increasing the estate tax on families with inheritances of more than $3.5 million. Because of this, Warren’s bill is essentially dead on arrival in the Republican-controlled Senate. Even if Democrats retake control of Congress in November, it’s unlikely the bill would be signed into law by President Donald Trump. 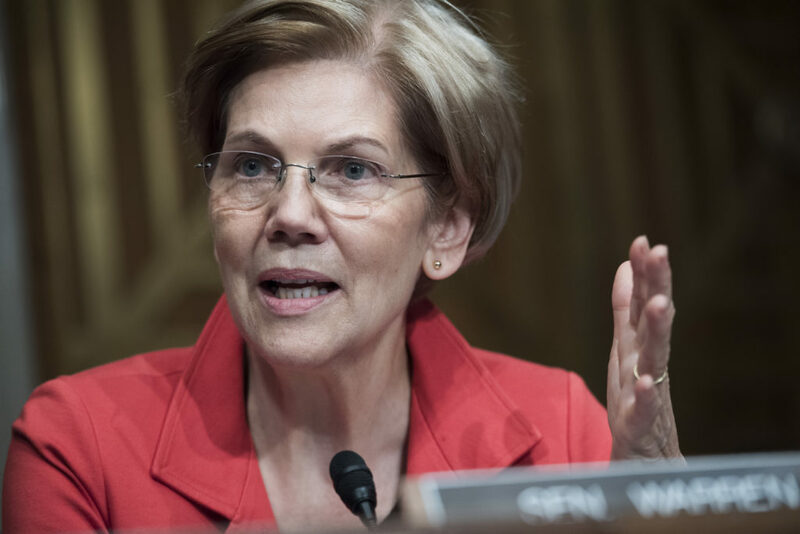 But the effort is being taken seriously by political observers, in part because Warren is a potential presidential candidate, and it also provides a populist vision for an economic future that may be embraced by Democrat voters. Warren commissioned an independent analysis of the legislation, which found the bill would lead to the construction or rehabilitation of 3 million housing units over the next decade, close the gap between housing demand and supply, create 1.5 million new jobs, and lower rents for lower- and middle-class families by an average of $100 a month. The analysis was performed by Mark Zandi, chief economist of the nonpartisan Moody’s Analytics. The bill “would go a long way toward addressing this mounting housing crisis,” Zandi said. Earlier this year, Warren took to the floor of the Senate, calling the findings of Reveal’s investigation “disgraceful” and saying they “should make us all sick to our stomachs.” She sent letters to federal banking regulators and Secretary of Housing and Urban Development Ben Carson asking what they were doing to solve the problem. She also grilled Carson in a Senate Banking Committee hearing on Capitol Hill. Warren spent months crafting the legislation, consulting with civil rights groups, academics and industry groups. Her goal was to deliver more affordable housing to lower-income residents while providing a path to homeownership for people of color living in communities where banks and other mortgage lenders have long failed to lend. At the center of the bill are massive new government investments in housing targeted at groups left behind by the economic recovery. Among the proposed new federal programs is down payment assistance on home loans for long-time residents of neighborhoods that were “redlined” from the 1930s to the 1960s, when the federal government discouraged banks from lending in communities with large numbers of immigrants and African Americans. As a result of those policies, people of color were largely cut out of the New Deal programs like the GI Bill which propelled millions of lower and working-class whites into the middle class. “Housing wealth has a huge generational component to it,” Warren told Reveal. “Grandma and Grandpa buy a house. …. House values go up over time. They take money out of the house to start a small business or if they want to send a kid to school. If they’re wealthy enough to be able to live in the house until they die, they pass that wealth onto the next generation, and the next generation does better, buying a nicer house. The proposed legislation also restructures the Community Reinvestment Act to include credit unions and independent mortgage companies. The 1977 federal law was designed to fight redlining by requiring banks to lend to all communities, particularly poor and working-class ones. Currently the law only applies to banks and only in areas where they have a branch that takes deposits. “If passed, this would be the first act of legislation since the 1968 Fair Housing Act to redress a century of housing discrimination,” Mehrsa Baradaran, a professor at the University of Georgia and author of the book “The Color of Money,” wrote in a letter to Warren. “By focusing on down payment assistance, CRA reform, and non-discriminatory housing vouchers, this legislation will not only help families buy affordable homes, but it will also build community wealth,” she wrote. Consumer groups say extending the Community Reinvestment Act to non-bank lenders is particularly important because these institutions make up an increasing share of the mortgage market. Earlier this year, Reveal exposed that a group of mortgage companies controlled by Warren Buffett’s Berkshire Hathaway made the overwhelming majority of their loans to white borrowers in white neighborhoods in ethnically diverse metro areas including Philadelphia, Atlanta, and Washington, DC. The companies helped nearly 6,000 families buy homes in those cities in 2015 and 2016, but escaped regulation under the Community Reinvestment Act because they are not banks. Reveal reported that America’s largest bank, JPMorgan Chase, in Washington, D.C., was not regulated under the Community Reinvestment Act because its only lending office in the city was a “private bank” office that serves wealthy clients rather than a deposit-taking branch for the public. The bank turned away 26 percent of African Americans and 18 percent of Latinos who sought conventional home purchase loans in the DC area in 2015 and 2016. It denied 7 percent of applications from white homebuyers. Chase has since announced a major expansion of branches in the nation’s capital. Reveal reported on loopholes in the Community Reinvestment Act in February. Among them, the law is race-neutral. That means banks can claim credit for lending to poor and working-class neighborhoods of color by focusing their lending on wealthy white newcomers who drive gentrification and displace long-time residents who the law was designed to help. The bill does not add race as a factor under the Community Reinvestment Act. But the down-payment subsidies would only be available to residents who had lived in a formerly redlined neighborhood for at least five years. Credit unions, which also would be forced to lend to the poor, oppose the bill. Ryan Donovan, the association’s chief advocacy officer, said credit unions are already meeting the needs of their communities so any added regulation would make it more expensive for them and their customers. The Trump administration is moving in the opposite direction, seeking to weaken provisions of the Community Reinvestment Act. Last month, the nation’s top bank cop, the Comptroller of the Currency, proposed new rules that would give banks flexibility in how they meet their obligations under the 40-year-old law. Housing advocates have said these changes to the Community Reinvestment Act would come at the expense of poor and working-class neighborhoods because they would allow banks to choose which communities to serve. A spokesman for the federal banking regulator declined to comment on the bill. The American Bankers Association has supported the Trump administration’s plan. In its statement to Reveal, the group said it remained interested in “modernizing” the Community Reinvestment Act. In addition, the Department of Housing and Urban Development, under the leadership of Carson, has been trying to jettison a tool called “disparate impact,” which the government has used to file fair lending cases. The standard, used during the Obama administration and upheld in a 2015 Supreme Court decision, allows prosecutors and civil rights groups to use statistical analysis to prove patterns of discrimination. Reveal used these techniques, which have also been deployed by the Justice Department, in its February investigation. Aaron Glantz can be reached at aglantz@revealnews.org, and Emmanuel Martinez can be reached at emartinez@revealnews.org. Follow them on Twitter: @Aaron_Glantz and @eman_thedataman. This story originally inaccurately described the financial impact of Warren's bill on estate taxes. The story has been corrected.